Marsilea Hirsuta is a good aquarium plant that is ideal for the foreground in an aquarium setting. 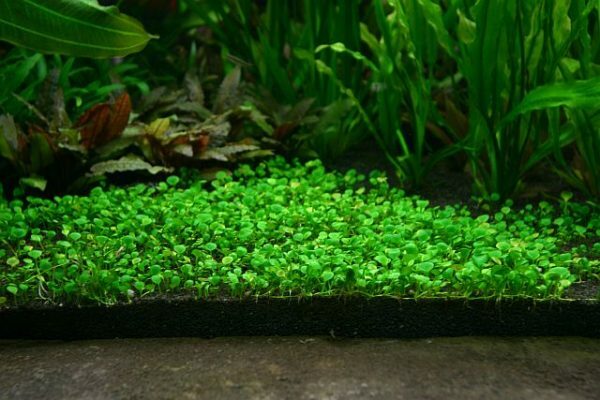 It is a short plant with clover-like looks that grows slowly and if planted in groups will form coverage like a carpet in the aquarium. The plant is easy to care for unlike other foreground aquarium plants that usually need lots of work in order to do well. The plant will grow low and spread horizontally when grown under medium – high light environments. Please note that when there is insufficient lighting for the plant, it will grow longer and lose its desired carpeting results. Due to the plant’s undemanding nature it can be grown even by beginners in the hobby. The plant is tolerant to a number of conditions and once the basic conditions are met it will just grow well. The substrate and water conditions need not be special for this plant to thrive in your aquarium. The plant is originally from the Native Island of Australia. It is an amphibious plant that is to say that it can either grow partially or entirely submerged in the water. The plant grows well in a number of soil types including sandy soils or clay soils. When growing in fully submerged status the plant has a tendency to change its four-lobed leaf structure into a large single lobed leaf structure that is large and dark green in color. The plant does well in high light intensity and water temperature that can go up to 84°F. The waters where the plant grows in the wild are those with a neutral pH although there are reports of the plant also doing well in waters with pH ranges of between 6.2 and 7.5. Due to the slow growth rate of Marsilea Hirsuta and its carpeting nature, it makes an ideal aquarium plant especially for the foreground area. Under proper lighting condition, the plant is known to remain short in length and creating a carpet-like effect. This can especially be ideal for aquarists who wish to have some sort of a dark green carpet-like plant in their aquarium. With its many green coloration on the leaves and the dense carpet that the plant creates under proper light conditions, it helps to present the aquarium in an elegant way adding a sense of depth there. The plant is even advantageous to most experienced aquarists due to its ability to grow both submerged and above the water surface. For those aquarists who wish to have a plant in tanks where they keep freshwater shrimps, the plant may just be the best bet for them! The plant will provide an excellent flat surface for the shrimp to stand on. Just offer the plant adequate lighting as well as sufficient carbon dioxide supplementation. These will help to promote the growth rate of the plant as well as a well-defined growth. To successfully find a new plant you will need to take at least 1 to 2 inches of a section of the plant’s rhizome and then insert into the substrate. If you want to plant many of the plants do the first procedure at intervals. It may take some time before you notice real progress from the just transplanted plants however once the plants get established, you will notice steady growth. To help keep things orderly in the aquarium when the plants start to grow, thin out the mat of the plants. You can achieve this by pulling up the plant’s runners and then trimming them. In order for the carpet like effect to be achieved, you will need to provide bright lighting to the plant. Also make CO₂ injections into the tank and this way you will see the leaves of the plant thickening and becoming dark green. Note: the plant can also be grown wholly submerged as long as you ensure that the soil that you provide it in its submerged state is highly moist. Ensure that the water temperature in the tank is between 18°C and 28°C. The ideal pH range for the tank should be between 5 and 7.5. The GH of the water should range between 1 to 20 dH. The plant is known to grow low with dense dark green leaves often forming carpet-like effect under bright lighting and sufficient carbon dioxide injections. In low lighting, the plant will grow longer and taller thus losing its impressive feature of forming carpet-like structure. Marsilea Hisuta is a freshwater plant and it can grow above the water surface or entirely submerged in water. Its reproduction is by way of asexual reproduction and tends to prefer moist soils for it to do well when grown totally submerged. Marsilea Hisuta is a favorite foreground aquarium plant that was originally sourced from the Island Nation of Australia. It is a low demanding plant that will thrive both in submerged or above water growing conditions. It has a tendency to grow in a carpet-like fashion when proper lighting and carbon dioxide is offered to it. Under insufficient lighting conditions, the plant will grow higher and lose its ability to form the carpet-like structures. 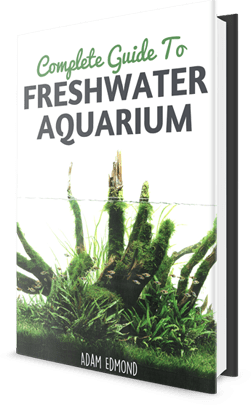 It is a good fresh water aquarium plant to care for and thus can be taken up by beginners who are just getting started in the hobby.